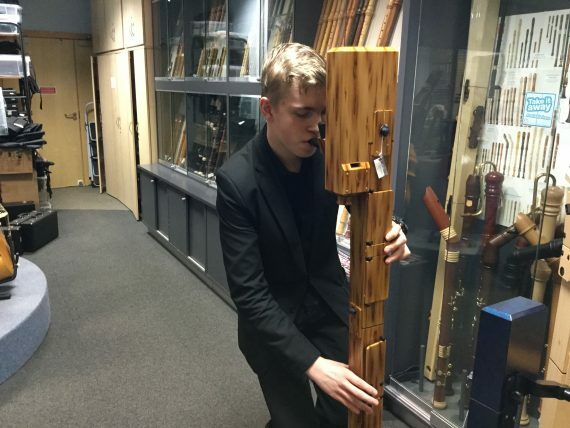 The Telemann 250 project was a collaboration between Chetham’s, The Early Music Shop, Windstruments and artist Cheryl Dawson, celebrating the dynamic and timeless music of Georg Philipp Telemann (1681–1767) in his sestercentennial year. Chetham’s students presented historically informed performances of Telemann’s solo, orchestral and chamber music. The concerts began on Wednesday 8 February, with a performance of multiple-wind concertos, directed by Dr Martyn Shaw. It was a wonderful opportunity to hear Telemann’s works performed on period instruments, within the historic setting of Chetham’s Baronial Hall. Chetham’s Soloists gave wonderful interpretations of Telemann’s concerti for trumpet, flute, horn, chalumeau and recorder. The following day was our A Level Baroque Study Day, which opened with a performance of Telemann’s music. Telemann’s celebratory concerto for trumpet and two flutes raised the roof of the atrium. No celebration of Telemann’s music would be complete without the inclusion of his colourful Fantasias for solo flute. Chetham’s flautists took up the challenge, performing all twelve fantasias in sequence, spread over two lunchtime concerts. 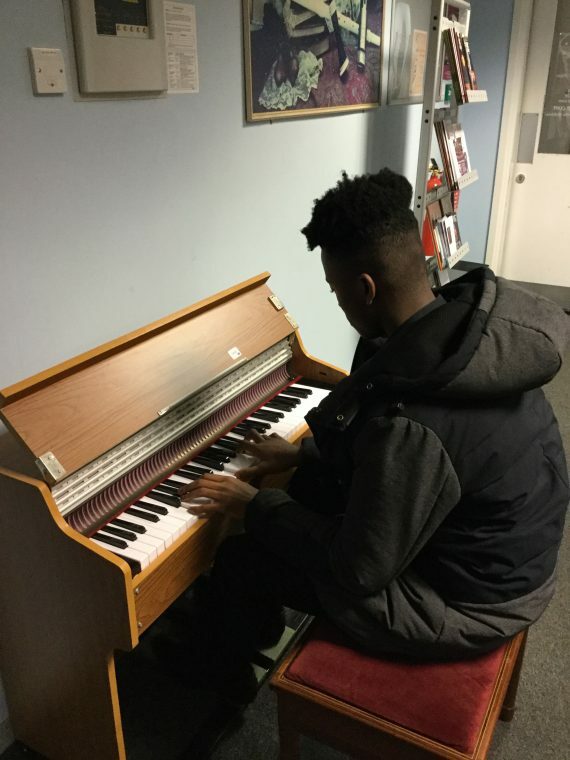 In early March, students travelled to Saltaire, Bradford, with Dr Shaw, where they performed to local school children at Saltaire Primary School, and helped to lead a baroque music and dance workshop. 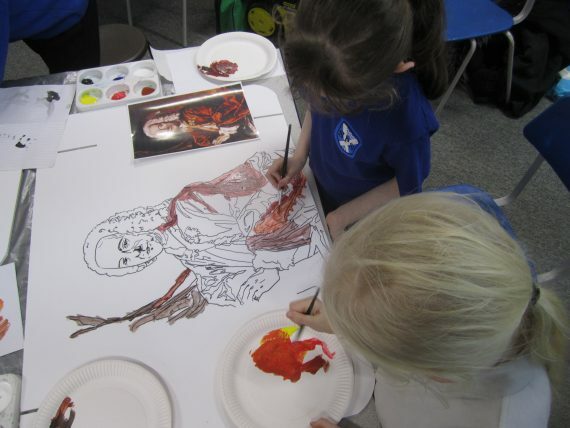 Later in the day, our students were joined by artist Cheryl Dawson in a workshop, focusing upon baroque style through the visual arts. 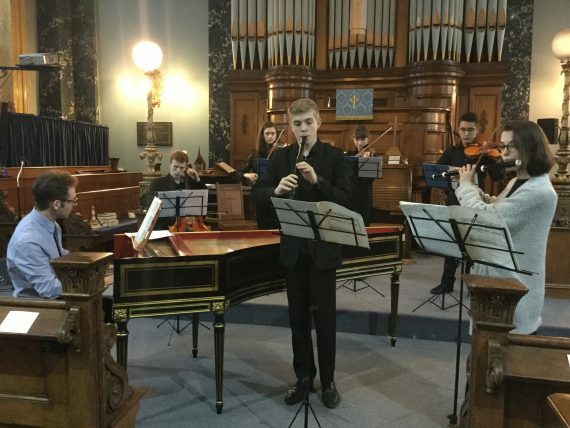 A reception at the Early Music Shop was followed by an evening concert by Chetham’s students at the Victorian Grade 1 listed Saltaire United Reformed Church featuring Telemann’s concertos and one of his celebrated Paris Quartets. Despite a coach breakdown on the way home, much praise to the twenty students on-board for their maturity, patience and teamwork! We acknowledge the generous support of The Early Music Shop and Windstruments, and look forward to working together on future musical collaborations.